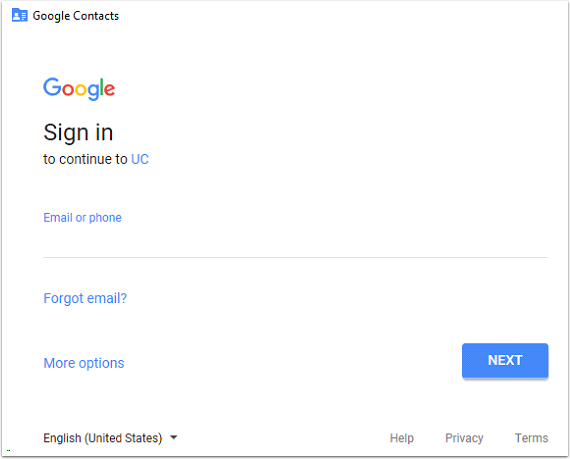 This page will guide you through configuration and basic use of the Level365 CRM Connect Google Contacts Add-in. It is expected that you are already familiar with the Address Book, Call History and Preview window, and the basic concepts of integration and screen popping using the Add-ins. Right-click the Level365 CRM Connect tray icon in the system tray menu and then left-click the Configuration option from the menu that pops up, this will open the 'Configuration' screen. In the 'Integration' area, click the Add new button, select Google Contacts from the 'Type' dropdown box and then click the Set button. On the 'Configuration' group click Link. 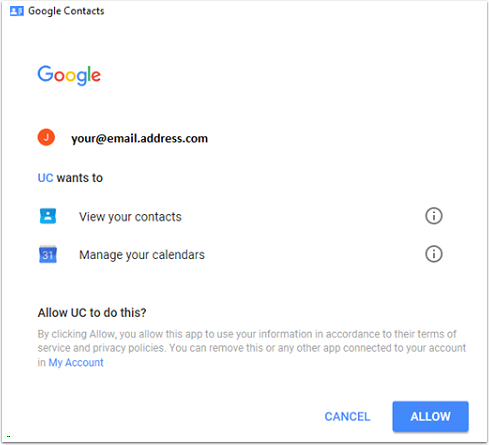 Click the Allow button on your Google Contacts screen to authorize the integration. To test if the configuration worked, enter a phone number from your Google Contacts account into the 'Telephone' box in the 'Integration test' area and click the Search button. The results will be displayed after a few seconds.